Productivity is not just about scribbling tasks off your to-do list. It’s about getting things done that matter to you and those you serve. ...at the expense of sitting down and developing the work that actually matters to yourself and those you serve. Well, procrastination is inspired in different people for different reasons. For me, personally, it’s generally because the “work” involved is complicated, nuanced, and time consuming, and it makes me want to run away when I think about it. So, how do we get over and through this cinderblock wall of struggle? 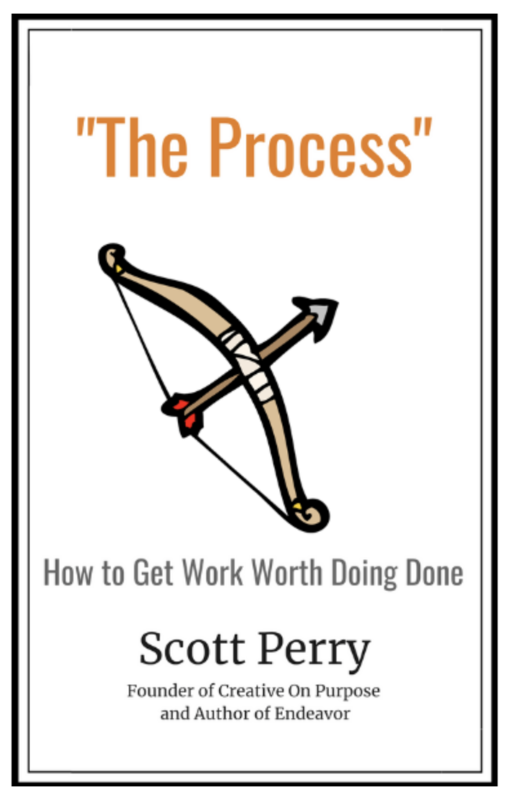 Recently, a colleague of mine, Scott Perry, shared with me his recent handbook, The Process. In this handbook, he details a very nuanced way to look at the art of productivity and how to place a proper context on the work that you’re producing. More specifically, he gives a step-by-step account of how to identify your remarkable work and how to develop the raw idea from conception until completion. If you are in need of a mental reset on how to approach your process to creating the work that matters to you and your audience, I suggest you sign up to get your copy of Scott’s handbook, which is FREE, by the way! Grab it now before he decides to slap a price tag on it, folks!